Join the artists of 36D Management – Austin Meade, Charlie Robison, Cody Canada & The Departed, Mike McClure, and Shinyribs – in banding together with our merchandise partners to offer relief to local food banks and shelters from the devastation that Hurricane Harvey has brought to Southeast Texas. 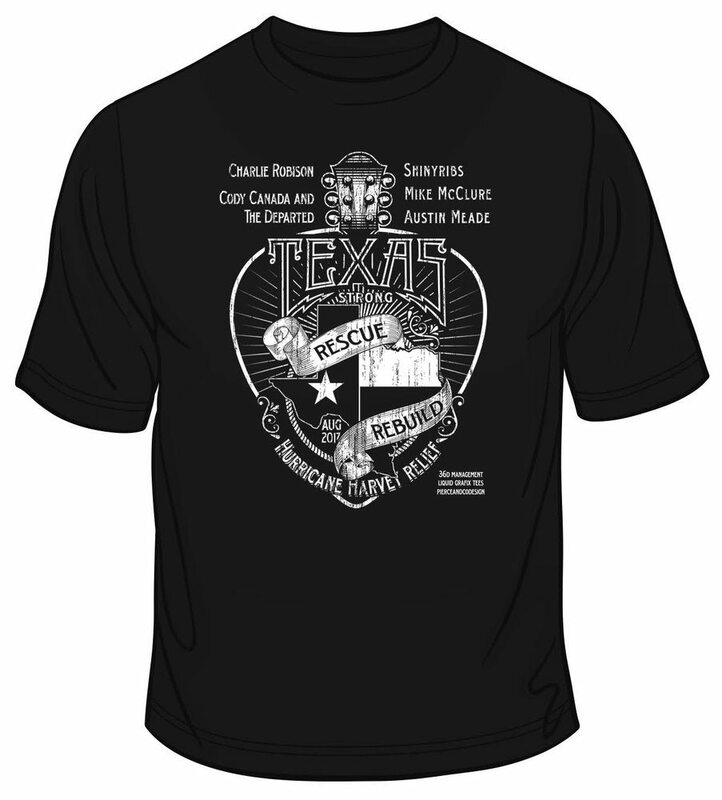 Our merchandise partners have designed and created Texas Strong tees donating the t-shirts and waiving the printing costs to maximize the funds available for direct, local hurricane relief. 100% of ALL PROCEEDS will be directly donated to a number of local food banks, shelters and direct relief organizations. All money raised will be donated and disbursed at a local level.